Samsung researchers have developed a new method of synthesising graphene, which they claim could accelerate the commercialisation of the so-called ‘miracle material’, for use in electronic devices. 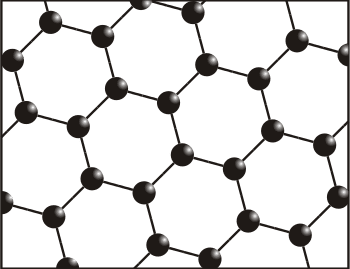 Graphene is one of the thinnest, lightest, strongest and most conductive materials know to man, consisting of a single layer of carbon atoms arranged in a honeycomb structure. Its versatility means that it can potentially support a wide variety of applications in electronics, including flexible displays, wearables and other next-generation electronic devices. Working with Sungkyungkwan University’s School of Advanced Materials Science and Engineering, Samsung’s Advanced Institute of Technology (SAIT) has uncovered a new method of synthesising graphene without damaging its electric and mechanical properties. In the past, researchers have found that multi-crystal synthesis – the process of synthesising small graphene particles to produce large-area graphene – deteriorated the electric and mechanical properties of the material, limiting its application range and making it difficult to commercialise. The new method involves synthesising large-area graphene into a single crystal on a semiconductor, while maintaining its electric and mechanical properties. By developing a method for growing a single crystal graphene into a large area, the researchers claim they could displace the tech industry’s reliance on silicon. March 26, 2019 - Breakthrough CRISPR graphene device detects genetic mutations in minutes Siliconrepublic.comA team of engineers hopes a new device called the CRISPR-Chip could rapidly diagnose genetic mutations without needing to send data to a lab. April 18, 2019 - Custom-made Materials Display Ultrafast Connections R & D MagazineThrough magic twist angles and unique energy states, it is possible to design tailor-made, atomically thin materials that could be invaluable for future electronics. April 17, 2019 - Tailor-made Materials with Ultrafast Connections Solar Novus TodayWhen atomically thin layers of two materials are stacked and twisted, a heterostructure material emerges.